Hermann Wurst Haus welcomes groups of any size and any age for lunch, dinner, facility tours and personalized bratwurst and sausage sampling. A group menu is available. 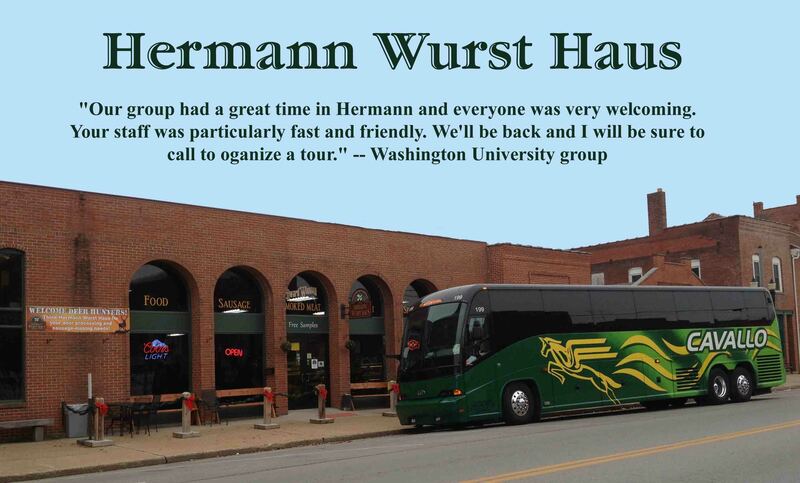 To schedule your visit to the Hermann Wurst Haus call 573-486-2266. Motorcoach/Charter Bus friendly! VIP parking available. Guided tours and personalized tasting are available for groups of 15 or more; advanced reservations, allow approximately one hour. 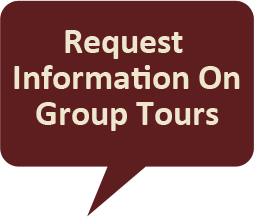 Group purchases will be loaded on the motorcoaches for you. Coolers are recommended. Group menu includes lunch, dinner or a boxed lunch. We offer our privately brewed Wurst Haus beers, Wurst Haus flavored sodas and local wines for an additional charge for your group. Group menu selections must be made one month in advance and a final count is due four business days prior to function. Billing will be made from that number. A boxed lunch option is available and is a perfect meal for groups heading back home on Amtrak in the afternoon or for their motorcoach ride home. A $150 deposit is due at the time of booking your meal, the balance is due in full at the end of the function. Please no separate checks. Prices are subject to change.